Red Bike recorded its 100,000th ride early last week when Keith Piercy checked out a bike at the Port Bellevue Station in Northern Kentucky. According to Jason Barron, Executive Director of Red Bike, Piercy rode the bike across the river and docked it at the Freedom Center Station at The Banks. Piercy explained that he was out running some errands and was even on his way to go buy a new bike helmet. The moment comes as data from the American Community Survey found that Cincinnati has one of the fastest growing bicycling communities in the nation, and the biggest in Ohio. It also comes just after the one-year anniversary of Red Bike’s launch, which also took place in front of the National Underground Railroad Freedom Center. According to Barron, ridership has far exceeded initial expectations, with more than 17,000 people using Red Bike in its first year. This growth also fueled the quicker than anticipated expansion of the system. 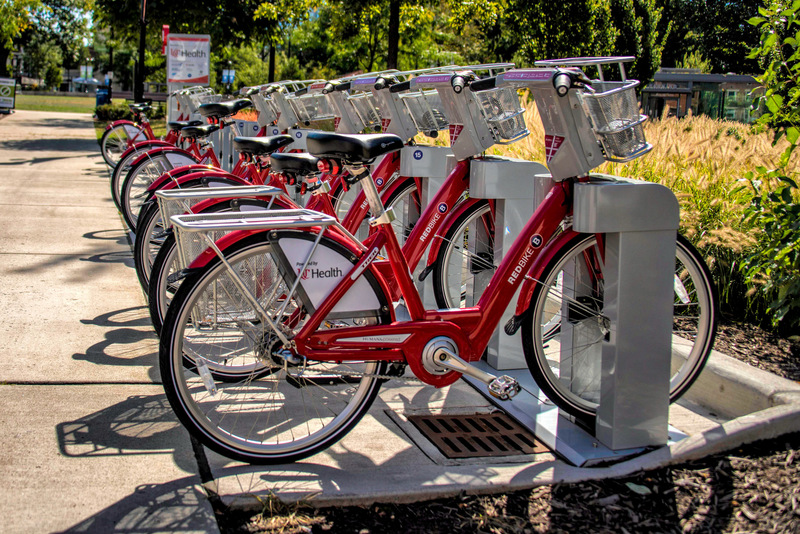 With 50 stations located on both sides of the Ohio River, Red Bike is the largest bike share system in Ohio, and the first public bike share system in Kentucky. While it is expected that ridership and system growth will level off over the second year of operations, Red Bike leadership is looking to iron out finances and expand upon programs, like the one recently launched with CityLink, to make the system more accessible to people at all income levels. Annual memberships can be purchased for $80, while day passes can be purchased for $8. Semester passes, which are good for 120 days and are marketed toward university students, can be purchased for $30.